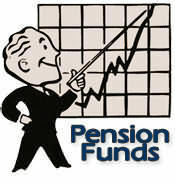 Previously, we looked at top 26 world’s sovereign largest pensions fund. The different between sovereign and non-sovereign funds are the fund ownership. Sovereign fund is established by national authorities for the meeting of pension liabilities. So, this raking is quite similar to world’s largest pension funds but without private funds such as General Motors pension funds. Malaysian largest pension fund, EPF drop 2 spots from 10th in 2012 to 12th spot in 2013 but the funds’s total assets grew from $153.89 billion to $175.72 billion. On the other hand, KWAP up 13 spots from 130th in 2012 to 117th in 2013. The total assets grew from $24.86 billion to $29.06 billion. The table below shows top 300 world’s largest pension funds. The data shown here are as of end 2012 & early 2013.